Creamy shaving foam, specially formulated to facilitate sliding of the blade over the surface of the skin to avoid shaving irritation and becoming a real pleasure. Rich in extracts and vegetable oils such as Aloe extract, argan oil, and cottonseed oil, leaving skin soft and protected. 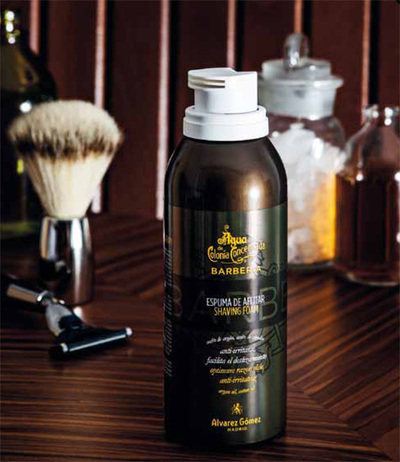 New line of men's care elaborated by Agua de Colonia Concentrada Barberia. They smell very well, have a background of classic citrus aroma but with masculine wood aromas as mediterranean cypress.